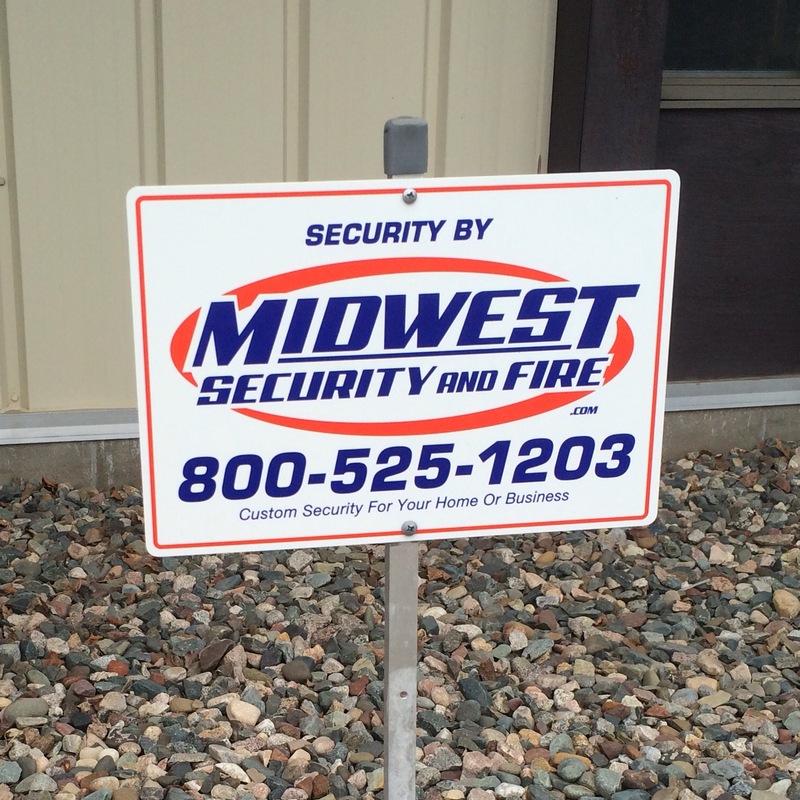 From big, beautiful retreat security and surveillance installations to very simple residential security system installations, Midwest Security and Fire has you covered. Installing only the best security and surveillance equipment for over 39 years, Midwest knows their products inside and out. 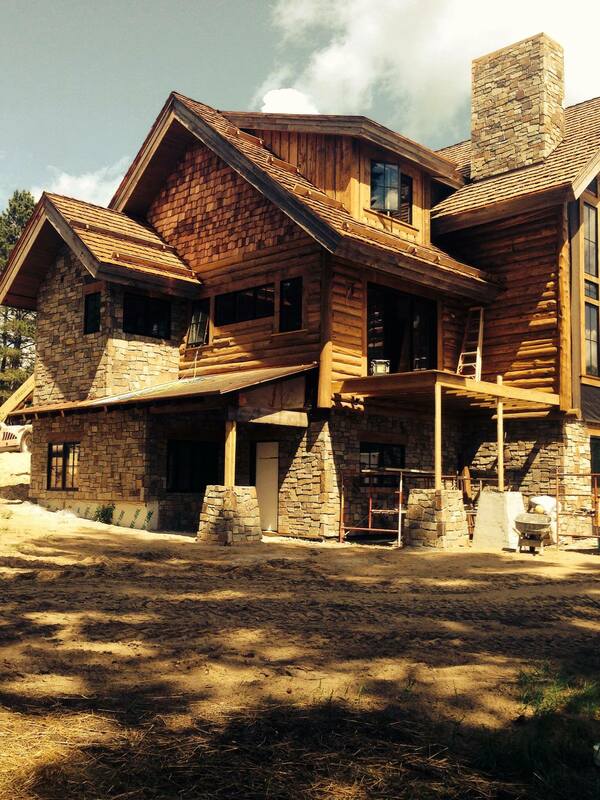 Midwest recently partnered with Baratto Brothers Construction on a Lake Kabekona Retreat north of Walker, MN to provide a secure environment and homeowner peace of mind at this stunning home. Included in this installation, was a complete professional residential security system with cellular communications, door sensors, motion sensors, smoke detection, water detection, and low temperature detection for the home and greenhouse. The systems are covered by a 3 year warranty. A lot of care is taken during installation to surpass the expectations of a typical system. The surveillance system features a network video recorder and high definition cameras surrounding the home, garage, guest cabin, and ground. 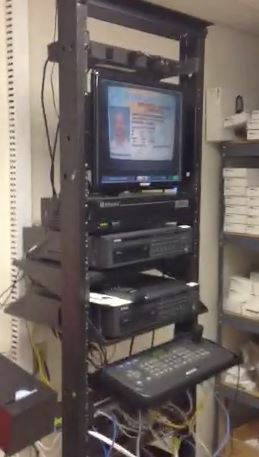 Live and recorded video can be viewed on the premise or remotely using a PC, tablet, or smartphone. 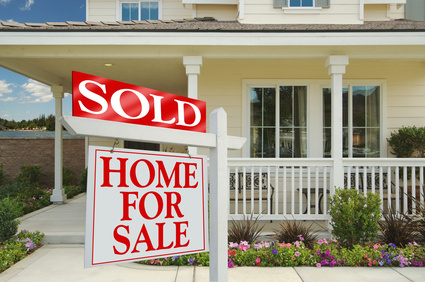 Homeowners love the quality of the video and ease of use. Security & Fire Partners, Inc. is a locally owned security and fire contractor. We help home and business owners with custom security and fire systems. We specialize in security systems, fire alarms, access control, and surveillance systems. Our customers tell us that it is our products, our people, and our customer service that set us apart from our competition. We are located in Central Minnesota, in Brainerd, and serve The Brainerd Lakes Area, Crosslake, Wadena, Park Rapids, Walker, Little Falls, St. Cloud, and Minneapolis and St. Paul. We proudly support the communities we serve. The depressing fact is, it’s not that hard to get into most homes. Every 15 seconds, a burglar breaks into a home in the United States, steals an average $1,725 worth of property and robs the people who live there of peace of mind for years. Installing an alarm system is easy and provides peace of mind. If something does happen, help will be on the way. Prominently displaying a yard sign with the alarm company’s name on it outside the house provides additional benefits. When people keep it hidden so as not to disturb landscape aesthetics, would-be thieves don’t know the home is any less desirable than the house next door, and the alarm is only an after-the-fact security measure. The lesson, alarms are most effective when they’re most obvious. Touch screen keypads have been around for several years, however most of them were not very user friendly. Our new Touchscreen Keypad is impressive, thin, elegant, and most important, easy to use. I love the home, sleep and away arming options. This makes it really easy for customers to learn how to arm the system and what each arming option is used for. They also resemble what’s on the smartphone app which makes it easy to go from one to the other without any confusion. My favorite feature is in the Z-Wave control screens. I can see the status and control all of my lights, locks and thermostats right from the keypad. In the “favorites” screen you can activate “scenes” in your home. With one touch you can control several different Z-Wave devices. I have a favorite for “Movies” that dims the lights and sets the thermostat to 68 as well as locks all the doors. With the cost of energy increasing, it’s important to stay on top of my heating and cooling systems. 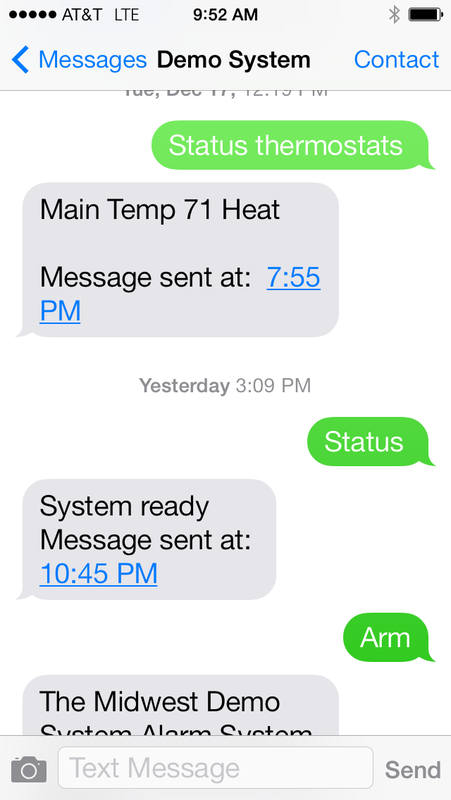 DMP makes it easy to control Z-Wave compatible thermostats right from the touchscreen keypad, iPhone or Android app. The system can be easily programmed to adjust the thermostat when you arm the system in the “Away” mode and when you return home. Our graphic touchscreen truly integrates home security with home automation and energy management. It is simple. It is elegant. It is easy to use. I can’t wait to see what comes out with next and the features we will offer our customers. 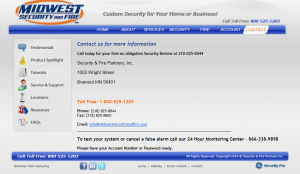 Home and business owners now have the option of obtaining a detailed estimate for a security system from Midwest Security and Fire .Com by completing a short form, answering a few simple questions and attaching photos of the property. Once received, the experts at Midwest Security and Fire prepare a detailed estimate along with the most popular options allowing you to create your own custom system. The estimate will include an electronic brochure and a short video demonstrating the system operation and several exclusive features. Harry Brodmarkle with Midwest Security and Fire stated, “Our customers love the fact they can get a detailed and accurate proposal without having to take time out of their busy schedule”. I’m sure many have seen the recent news about Google’s acquisition of Nest. The recent announcement of Google’s $3.2Billion acquisition of Nest essentially moves Google in to the home automation space. Midwest Security and Fire. Com wanted to provide our perspective on the news. First, Its a great validation of what we do as a security dealer providing home automation along with our security sy…stems. We believe that we are best suited to deliver these products and services and help our customers on a personal level understand what is available. Second, the thermostat is a very important part of the home especially in our homes here in Minnesota. Nest claims to have their $249.00 thermostats installed in over 1 million homes. While we as an independent local security dealer do not serve anywhere near that many customers, we can provide a superior service at a lower price point with a better installation experience. We have been providing thermostat controls and home automation to our customers for over 25 years. Third, trust is important to consumers when it comes to the provider of home automation services. One of the clear emerging themes in the Google acquisition of Nest is that customers are wary of Google having insight into their homes. Some people are even pledging to return their Nest thermostat now that Google is buying the company. Based on our experience, our customers are weary of connected services providers and their personal data being used and sold in an ad supported model to get cheaper products or services. As an independent local owned security company we pride ourselves on being one of the most trusted contractors in your home or business. Our customers are looking for professionals to provide their security and home automation services and they know they can trust us to protect them. Security & Fire Partners, Inc. and Midwest Security and Fire . Com is a local owned security and fire contractor. We help home and business owners with custom security and fire systems. We specialize in security systems, fire alarms, access control, and surveillance systems. Our customers tell us that it is our products, our people, and our customer service that set us apart from our competition. We are located in Central Minnesota and serve The Brainerd Lakes Area, Crosslake, Wadena, Park Rapids, Walker, Little Falls, St. Cloud, and Minneapolis and St. Paul. We support the communities we serve. Security systems and much more….. The security systems we are installing for our customers are amazing. Our customers love the security and peace of mind they provide and are always amazed when we are able to offer new features to make their life easier too. With our systems we allow our customers to control lighting, locks, and thermostats. You may control and monitor your home or business anywhere you are by using our Virtual Keypad application or by a simple text message. 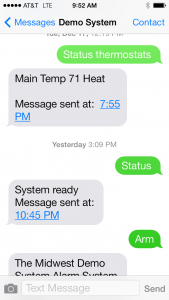 Unlock the door, turn on a light, and turn up the thermostat just by texting a simple command- that’s crazy? I have been in the security and fire business for over 21 years now and I never imagined it would be like this. The systems and features we offer our customers are really great and offer security, peace of mind, comfort, and convenience. 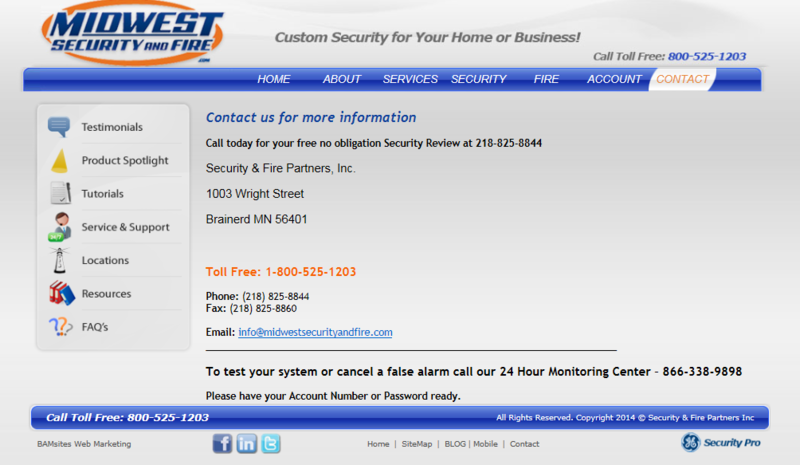 If you have not seen a recent demonstration on our systems and the features available locally only from midwestsecurityandfire.com give us a call today at 218-825-8844. If you have a business that is susceptible to liability due to a customers age or use of a fraudulent ID, we have a new product that may help. For bars, restaurants that serve alcohol, and stores that sell tobacco products, checking identification is commonplace. Sometimes its tough to determine if the identification is really the person in front of you. There may also be an event where evidence is needed that an employee actually checked the identification of a person. With an ID capture camera you can record an image of the ID used by the person during the check or transaction. This evidence can be enhanced by installing an additional camera in the area of the exchange between your employee and the person presenting the identification. We offer several models of the ID Capture Camera and a full line of Surveillance Systems for home or business solutions. Wouldn’t it be great if you could arm your home security system, turn up the heat, unlock a door for a delivery, or turn a light on in your home right from your cellular phone. With a security system from midwestsecurityandfire.com you can. Our systems allow you to arm, disarm, check the status, lock doors, control thermostats and lights, view cameras, receive a text when your child gets home from school. , and much more right over your cellular phone. These options and features are reasonably priced and our customers love the ease of use. They feel safe and much more connected when they have control and access to the system. That’s peace of mind. Give us a call today for a demonstration and a free security review. After almost a year of design, planning, layout and months of installation, testing and staff training, we are proud to announce that the Trident Seafoods Security Project has been completed. Security and food safety in the food industry is fast becoming a very important issue globally. 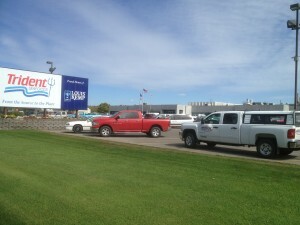 Locally, Trident Seafoods located in Motley MN is a food processor and manufacture in the seafood industry. With several leading product they are easily considered one of the top processors in the country. Midwest Security & Fire, recently completed the Access Control System and Surveillance throughout the interior and exterior of the facility. This system allows Trident to monitor and control access to the facility and insure the integrity and safety of the facility as well as the safety of the ingredients and final product.